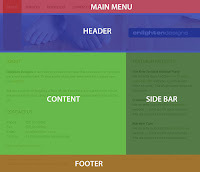 This week we're looking at how to use CSS to lay out a page. To kick off, work through this tutorial on subcide called 'Creating a CSS layout from scratch' (up to, but not including page 10, the navigation). Once you've explored these a little, revisit your '10 things' page and apply some CSS layout so that there's a column on the left of the content. Put an unordered list of links to each detail page in this column. For bonus playing time, decorate your left hand column list using some CSS from the listamatic.